Peru is divided into three main areas: the dry coastal plain in the west, where most of the cities and industries are; the high Andean flat terrain which is more agricultural; and the Amazon jungles in the east of the country. It is estimated that there are around 29 million people living in Peru, speaking at least 92 different languages. The official languages are Spanish and Quechua. Evangelism: OM Peru is committed to share the gospel with those who have yet to hear through different evangelistic activities. Medical outreaches: The team shares Gods love for the people through medical brigades organized within the country. Teaching: Members of OM Peru teach at seminars and bible schools and preach about topics like the need for missions and the great commission. Mobilization: Through church visits, the team challenges the national Christians to assume their missionary responsibility and fulfil Gods calling. Give — Give here (http://www.om.org/en/give) to help support the work of OM in Perú. Official language: Spanish, Quechua. Spanish-speakers 80.3%. Most Amerindians are Spanish-speaking or bilingual; 16.5% of the total population speak Quechua Languages: 93. State of Economy: The economy is very stable and Peru is one of the Latin American countries economically growing steadily over the last 10 years. State of the church: Although the country is recorded to be over 90 per cent Christian and following the Catholic traditions, it is believed that 25 per cent of Peruvians are Christo-pagan, believing more in animism and witchcraft. 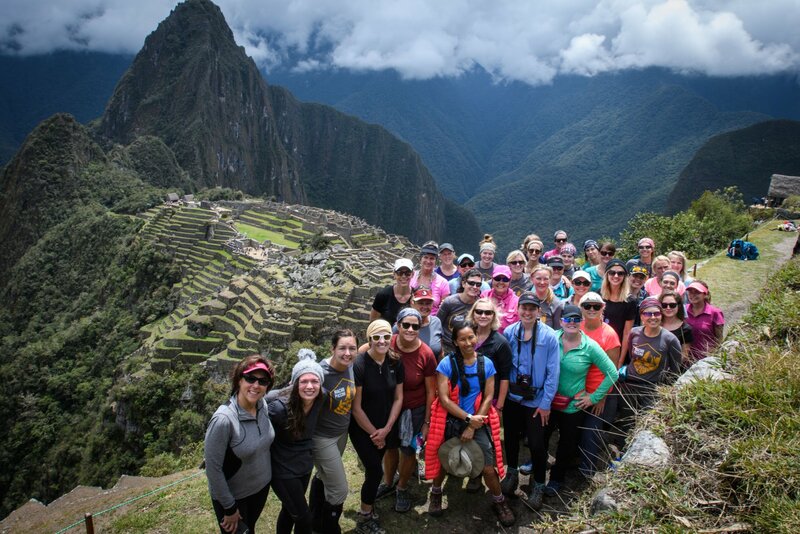 Forty women climb Machu Picchu to raise awareness about human trafficking during a five-day Freedom Challenge trek in Peru.